Some of the choices are more obvious, and some may be cheesy, because we all know that “Highway to Hell” belongs on a list of driving songs. I’ve listed most of them anyway, and I’ve linked each song to its YouTube video. I road trip often, and on longer trips, I always like to start with Willie Nelson’s “On the Road Again.” Yes, this is an obvious one, but it should be number one on the road trip playlist. The whole song screams ‘I’m driving and I’m going to be driving for a long time, but I’m with my friends and I love it.’ That being said, everyone just got in the car and there’s probably some conversation that you’ll want going on. A little “Highway Song,” “Life is a Highway,” “Fast Car,” and “Low Rider” should give you enough time to catch up with the small talk. If you need more time, “King of the Road” (I prefer the Randy Travis version) and Johnny Cash’s “I’ve Been Everywhere” will buy you a few more minutes. After the fun driving songs, you can rock like a Bat Out of Hell (like Meatloaf) or Take It Easy (like The Eagles). “No Particular Place to Go” by Chuck Berry is good choice. The guitar isn’t too loud, and good ol’ Chuck couldn’t unfasten her safety belt – just like you won’t be doing anytime soon. The Eagles’ “Hotel California” is a good follow up. No one really knows what it’s about, but almost everyone knows at least some of the words. You didn’t want to talk for too long anyway. “Ticket to Ride” isn’t about driving, but it sounds like it could be, and it will give everyone in the car a break from singing for a couple of minutes. Alternatively, “Drive My Car” by the Beatles isn’t a bad choice either. Follow that up with the Verve’s “Bitter Sweet Symphony” and lift everyone back up. Then hit them with a string of progressively more aggressive songs. “Running with the Devil” gets this started. “Unchained” by Van Halen is also a good one. Either, or both, of these should put you in a feeling-free mood and ready to rock. Then play “Bad to the Bone” (George Thorogood) and “Born to Be Wild” (Steppenwolf), but don’t get too rebellious – make sure you slam your brakes when you see that State Trooper up ahead unsuccessfully trying to hide behind some trees. Now you’re almost ready for one of the greatest sing-a-longs ever. But first, put on “Black Betty” (Ram Jam). It’s another one of those songs that no one is sure what it is about, but it will get you pumped up while listening. Now that everyone has some adrenaline flowing, strike up “Bohemian Rhapsody.” Make sure everyone sings, even if they have to mumble the words they don’t know. And whoever doesn’t head-bang at the right time is buying the next meal. “Casey Jones” by the Grateful Dead is the next song, especially if everyone is feeling high on cocaine from all of the head-banging. (“Truckin’” is also a good song to slow it down.) Follow that up with “Green Onions” by Booker T & the MGs. It’s an upbeat instrumental so no one will feel the need to mumble to make it look like they know the words to the song. Now that you’re an hour or so into your road trip, I can almost guarantee that someone has to use the bathroom. Put on “My Ding-A-Ling” by Chuck Berry and make them laugh. But make sure you get to the bathroom before they pee their pants. Also, try not to sing “My Ding-A-Ling” too loudly while in the bathroom. When you start up again, put on Whitesnake’s “Here I Go Again.” Follow that up with “California Love” from 2Pac and Dr. Dre. It has a nice beat, and segues nicely into “What is Love” by Haddaway. Whoever doesn’t Night-at-the-Roxbury this song should be kicked out of the car immediately. Just don’t break any windows. I have no problem listening to the same artist a few times in a row. In fact, there are a few artists that, on longer trips, you can just play the entire album. You can sing some songs and have some conversation going. Only By the Night by Kings of Leon is a nice choice. Night Visions by Imagine Dragons and Third Eye Blind’s self-titled debut album are also pretty upbeat. Bruce Springsteen is another one. Maybe it’s because I’m from Jersey, but even if you’re not a huge Bruce fan, I think he should have at least a few songs on your playlist. “Born to Run” and “Born in the USA” are definites. “Glory Days” is also a gimme. If you’re of a certain vintage (or like a certain vintage), keep going with The Boss. “Thunder Road” and “Rosalita (Come Out Tonight)” are upbeat. And you might want to throw in “Badlands” too. After Bruce, slowly build it back up to a song that will have everyone jumping. Start with a country feel – “Mustang Sally” can get this run started, followed by “Stuck in the Middle With You.” If you’ve seen the movie Reservoir Dogs then this Stealers Wheel song has a different meaning; otherwise, just look at your friends and laugh while you sing. T hen put on “Ramblin’ Man” by the Allman Brothers and then “Paint It Black” by the Rolling Stones. The quick tempo of the first, followed by the steady drum beat of the second should have everyone all set for the quick fiddling of “Devil Went Down to Georgia.” (The Zac Brown Band cover of the song is pretty good too.) There’s only one song left to end this set, and that’s “Free Bird.” The ballad-style beginning of the song will give everyone a few minutes to relax before the huge guitar solo at the end. That should take you to your first gas stop. 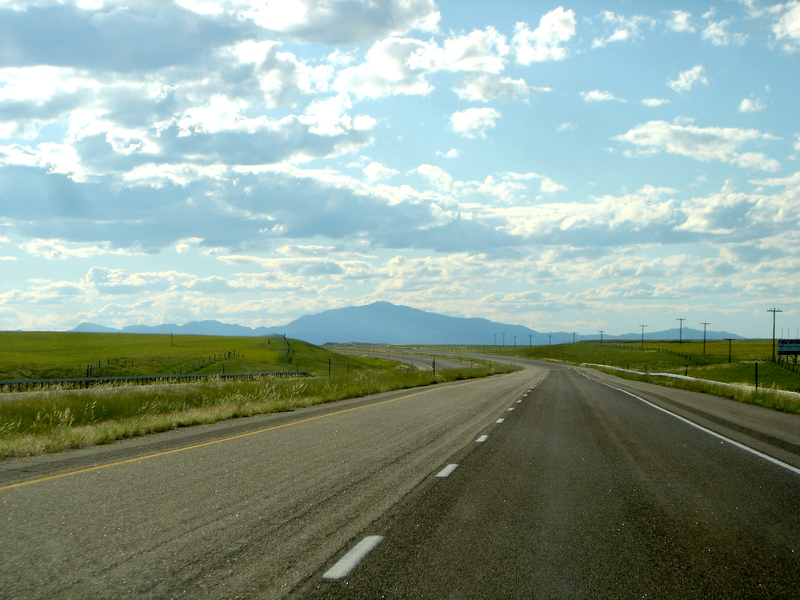 There are literally hundreds of songs you can put on a road trip playlist. Some have lyrics that match your travel; others have a sound that fit your trip. I can’t list them all here, but if you’re going to be on the road for extended periods of time, and you have the option to make a playlist on whatever device you’re using, below are some more of my favorites. You definitely have to play “Move” by Ludacris when you have a bunch of slow people in front of you blocking up traffic. “Party Up (Up In Here)” by DMX is also a fun one to play. For long trips, Dookie and American Idiot are good album choices as well. Collision Course, the LP collaboration with Jay-Z, is also a great album. Previous Why Terrorism Makes Us S.C.R.E.A.M.